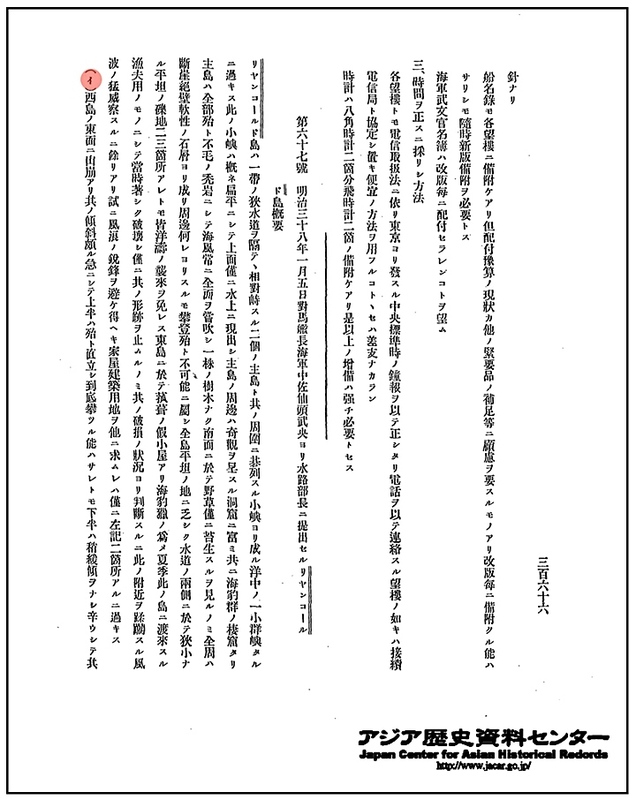 In February of 2008 Japan’s Ministry of Foreign Affairs released their new brochure outlining their stance on the Dokdo Takeshima Dispute between Japan and Korea. 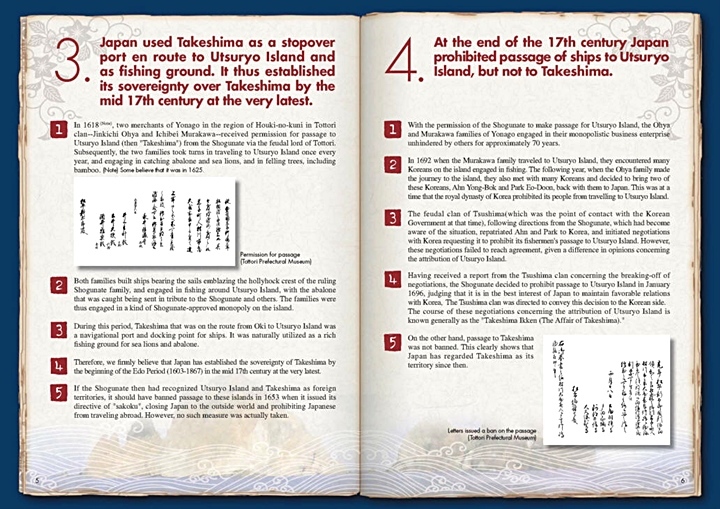 The brochure is titled “10 Issues of Takeshima” and really there is nothing surprising or new from Japan’s MOFA despite the fact some new data has come to light over the last few years. Already on this website is Shimane Prefecture’s brochure posted last year (link) On this article, are all fourteen pages. 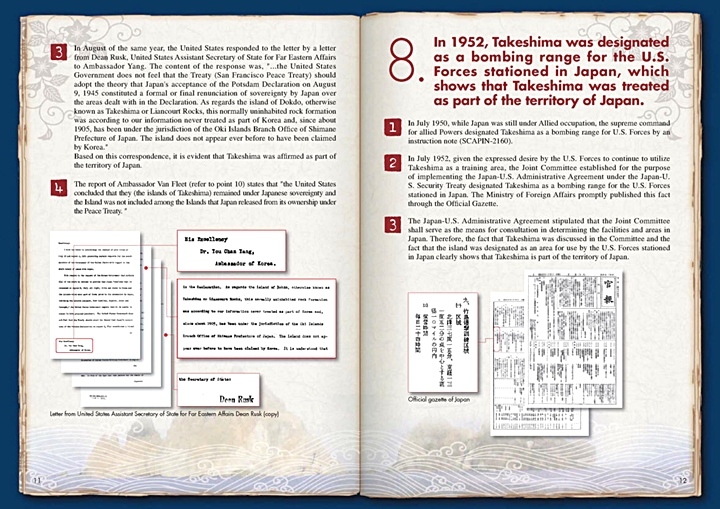 Following each page is a rebuttal with some images of primary historical documents showing the flaws of Japan’s claim to Takeshima. 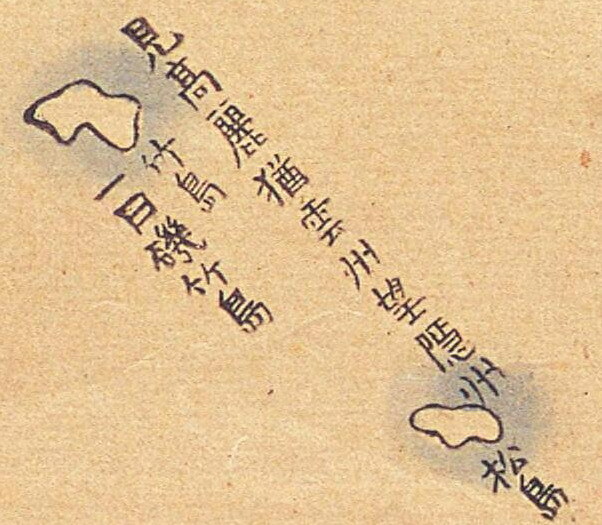 Japan repeatedly excluded Matsushima (Dokdo) from her territory in historical maps throughout history. Some examples of these maps can be found on the following links. Maps 1 Maps 2 Maps 3 Maps 4 Maps 5 Maps 6. 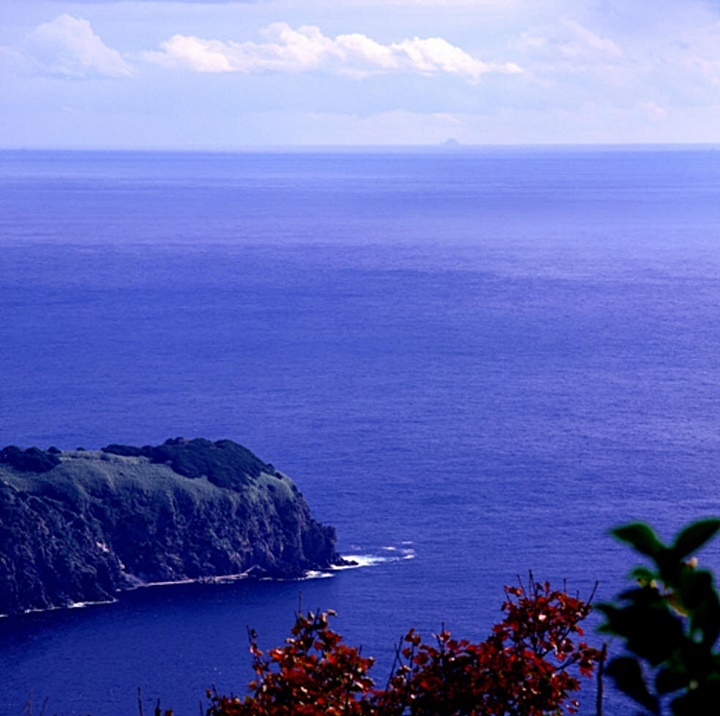 The island of Matsushima (Dokdo) was regarded as an appendage to Korea’s Ulleungdo island because of its close proximity and the fact the islands were visible from each other. 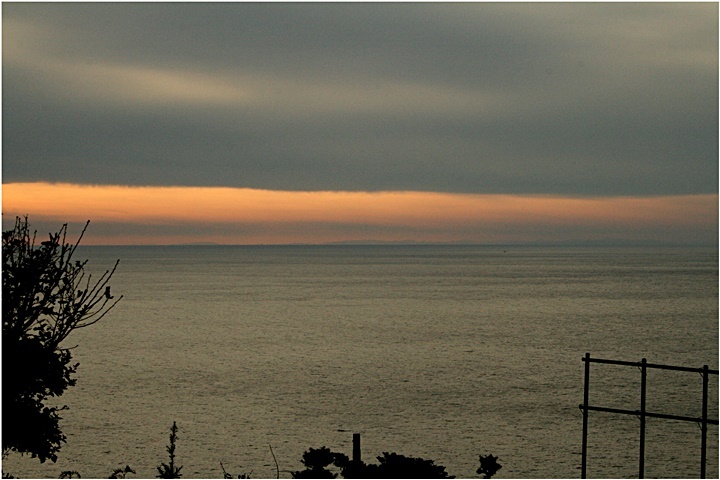 In addition, the Japanese often recorded that Korea was visible from the Ulleungdo~ Dokdo vicinity proving the strong territorial bond between the islands and the Korean peninsula. 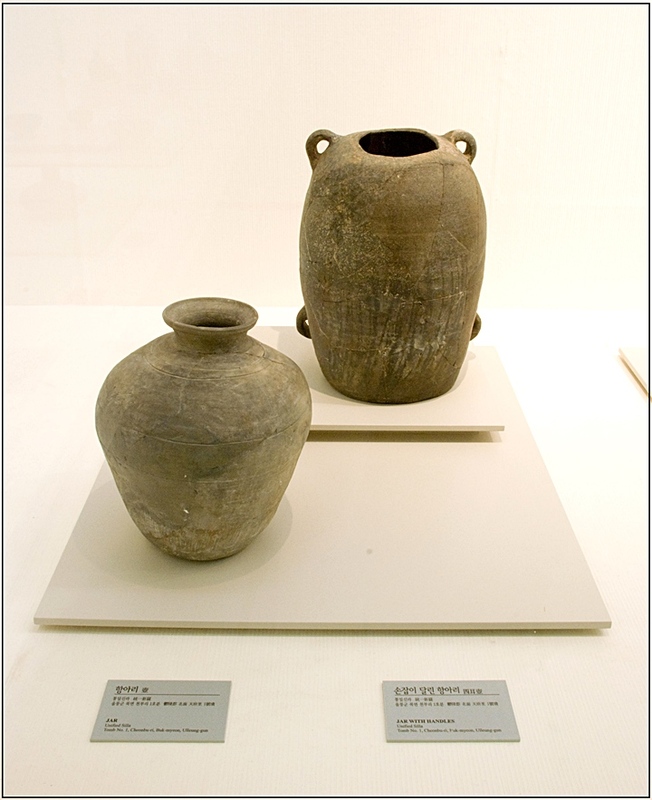 Ancient Korean artifacts from the Unified Shilla Era (669-935 A.D.) found on Korea’s Ulleungdo Island, are proof of Koreans living within visual distance of Dokdo a thousand years before Japanese arrival in the area around 1618. In must be noted, although Jang Han Sang wrote he saw Dokdo on page 5 of his report, he later goes on to say he did not see any part of Japan. This proves Koreans of the day considered Dokdo within the realm of Korea and separate from Japan. 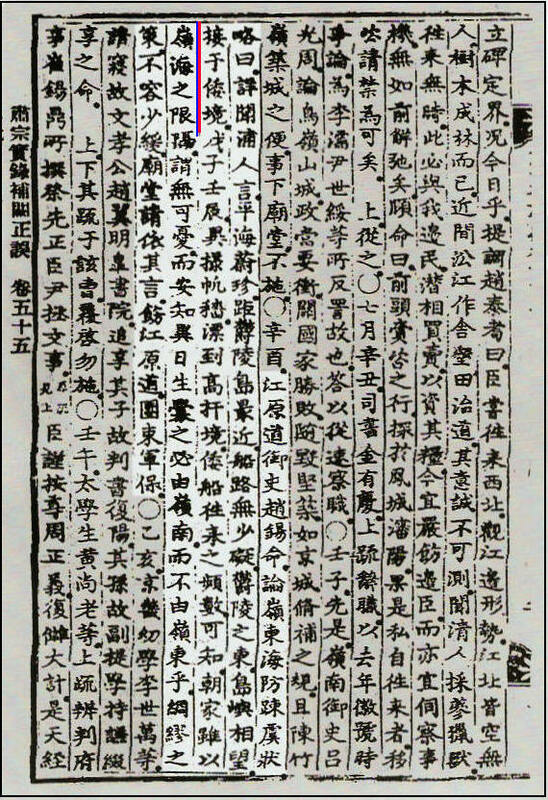 Later, in 1714 yet another Korean record states “…Gangwon Provincial emissary Jo Seok-myeong (趙錫命) discussed the neglected coastal defenses in the Yeongdong region. Here is a summary: “…I listened carefully to the people in the ports (浦人) who said, “Pyeonghae (平海) and Uljin (蔚珍) are closest to Ulleungdo, and there are no obstructions along the sea route. 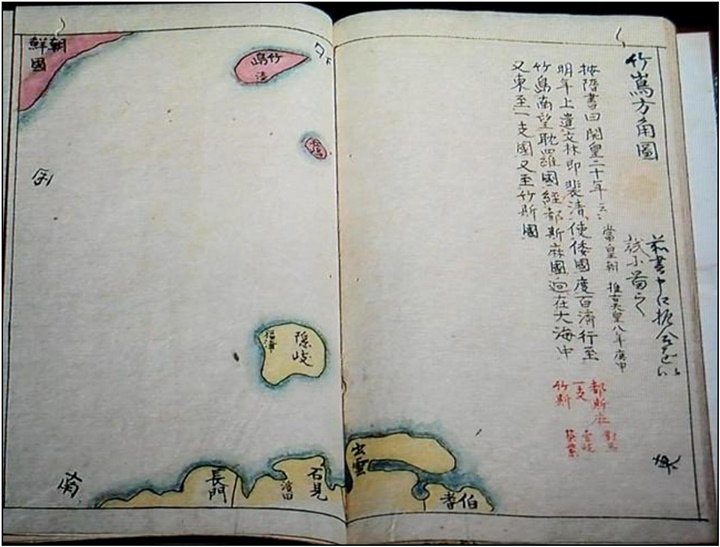 Visible to the east of Ulleung is an island that borders on the limits of Japan…” This record is evidence not only the Korean government was cognizant of Dokdo, but also Koreans who lived in coastal areas were aware of the islands. It’s worthy to note, these Koreans also describe Dokdo as near the limits of Japan and not part of Japan. 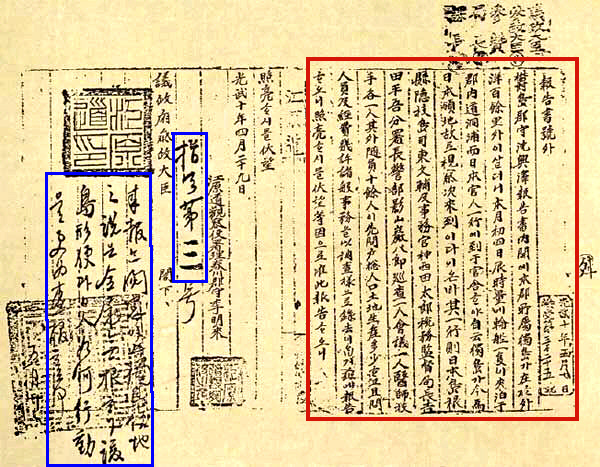 The images (left) above are very old Korean documents that record Dokdo’s visibility from Ulleungdo. 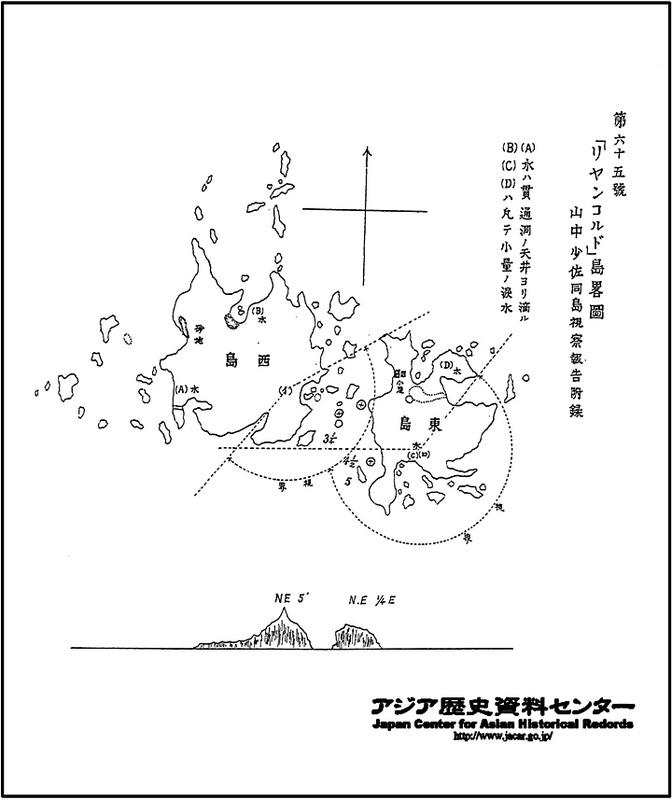 Contrary to Japan’s MOFA’s brochure, Koreans were quite aware of Dokdo Island a very long time ago. 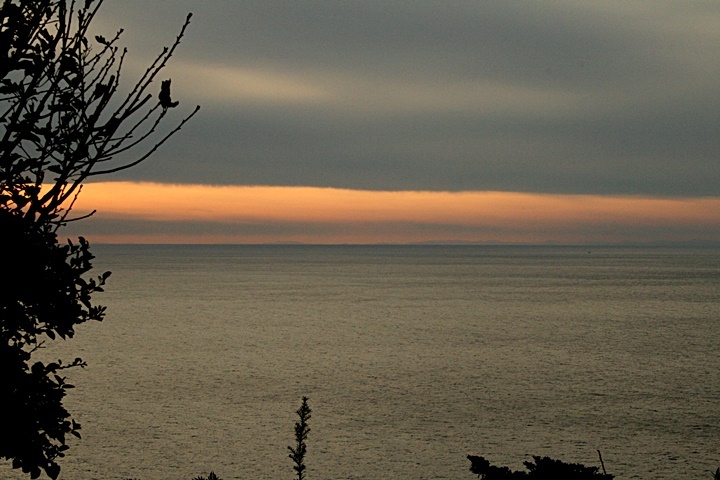 Above right is a recent photo of Dokdo from Korea. 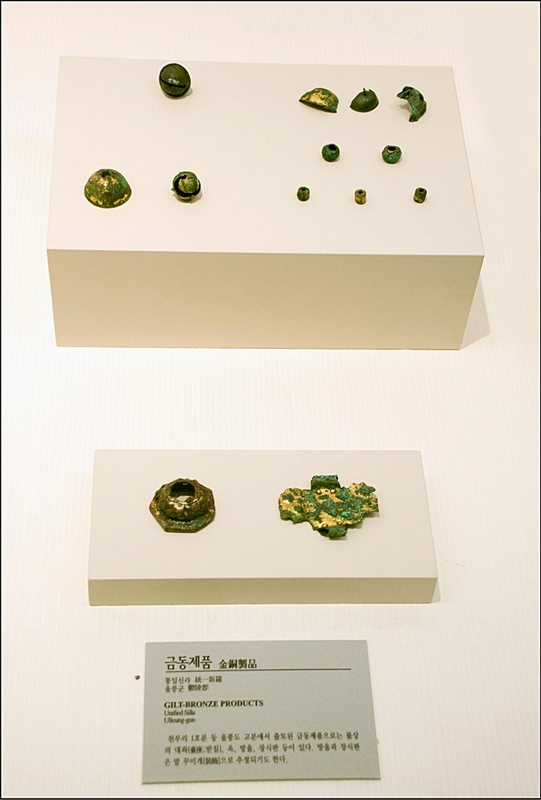 What was Japan’s real relationship with Dokdo-Takeshima during the Edo Period? 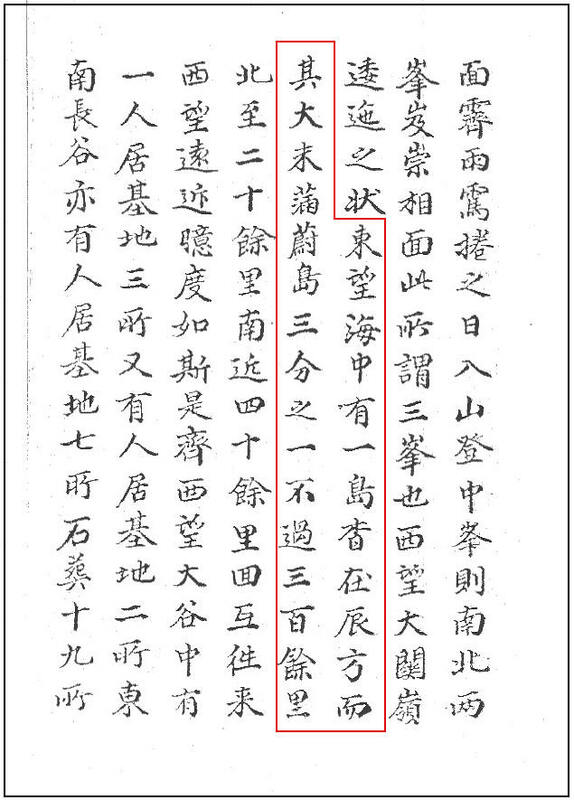 In the late 17th Century the Shogunate inquired about the territorial ownership of both Utsuryo (Ulleungdo) and Matsushima (today’s Dokdo) Here it was clearly stated both Ulleungdo and Takeshima were not part of Hoki or Imbashu disticts and thus not part of Japan. (see link) Yonago City in Hoki Prefecture was were all Japanese voyages by the Murakawas and Oyas originated from. 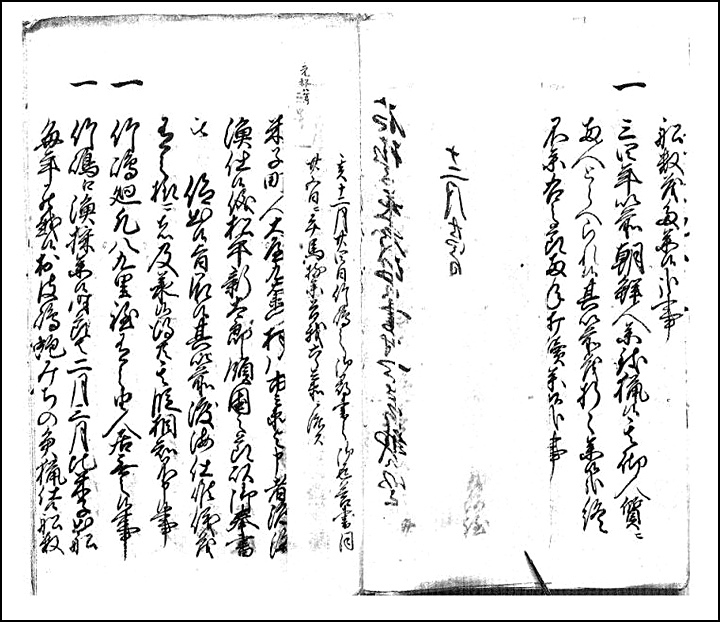 On December 24th 1695 Inaba and Hoki Provinces (Tottori) stated both Ulleungdo and Dokdo were not part of these provinces. 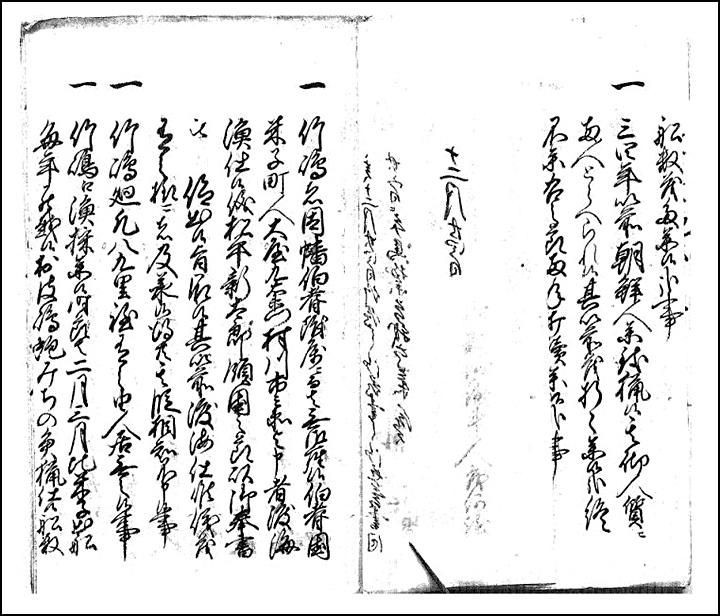 From these documents it’s clear both Ulleungdo and Dokdo were not part of Japan during the 17th Century. In the year 1667 a Japanese retainer of Izumo, named Saito Hosen issued a report on the Oki Islands on Japan’s West coast. 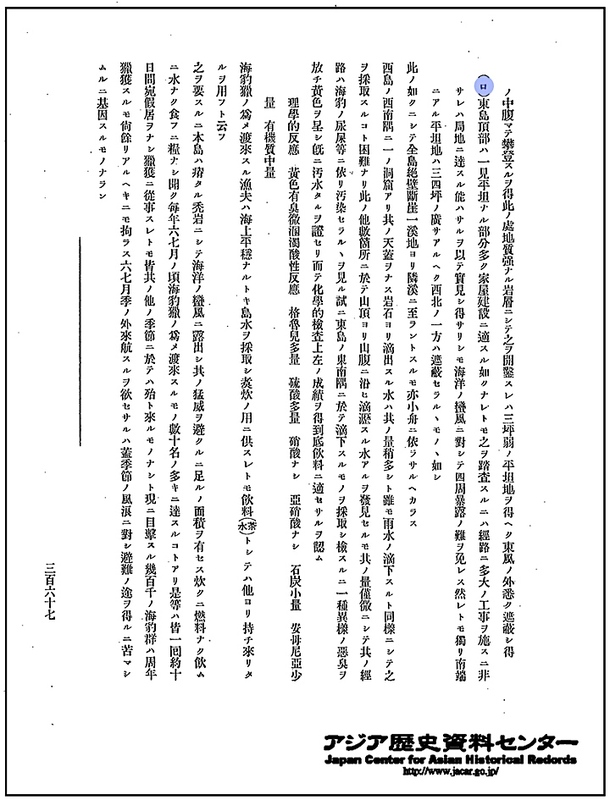 Within this document it was declared the Oki Islands marked the boundary of Japan. 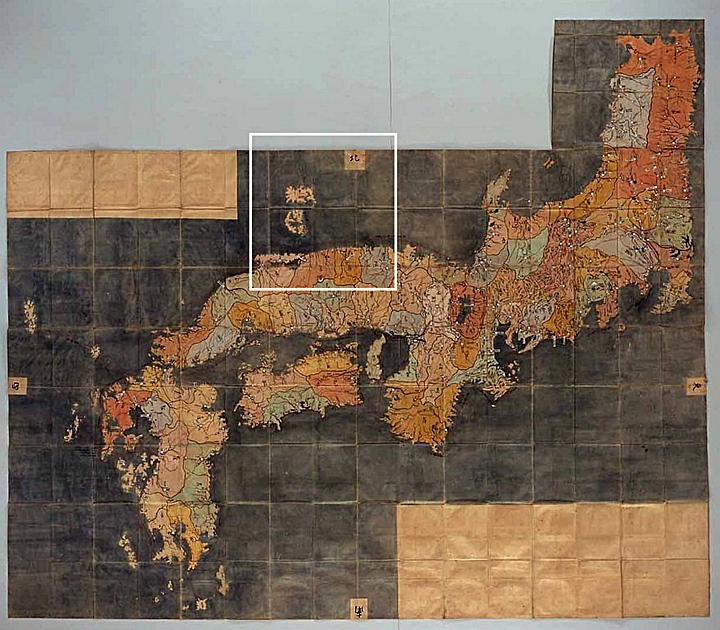 (see link) This historic evidence can be supported by many Japanese maps of the 17th Century that not surprisingly also show Oki Islands as the northern boundary of Japan. Some important facts and records cast serious doubt about the inference Japan’s MOFA’s makes from the facts above. 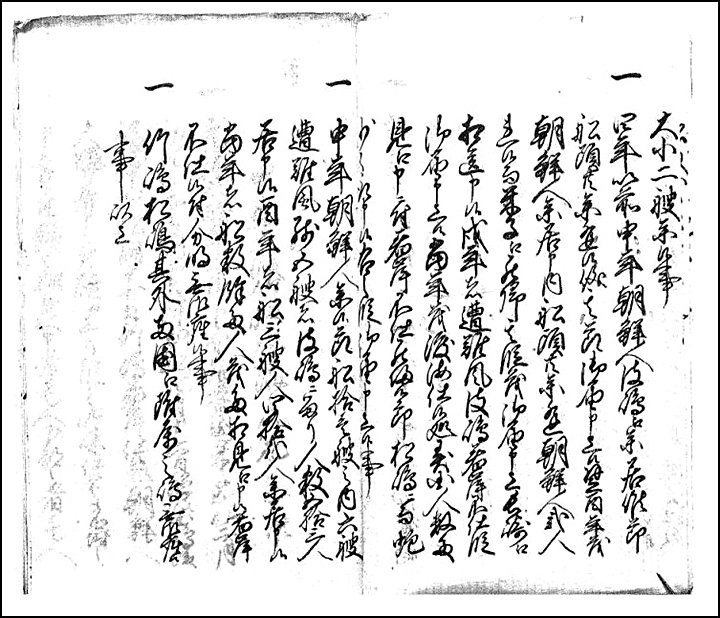 Japan’s relationship with Dokdo throughout the 17th Century was only through her (illegal) activities on Korea’s Ulleungdo Island. 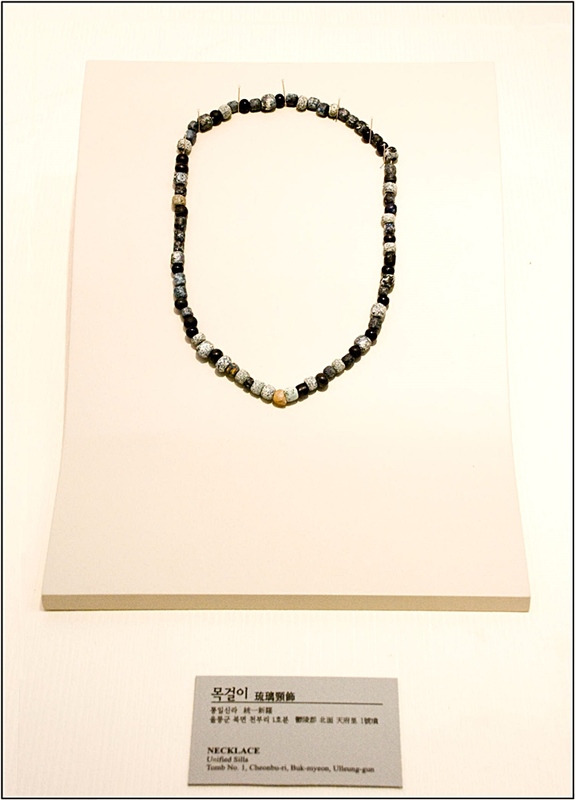 Historically Japanese fishers recorded Dokdo Island as a distant, tiny, barren rock two and a half days away, against both prevailing winds and currents. Not one record exists of Japanese voyages to Dokdo as a sole destination. 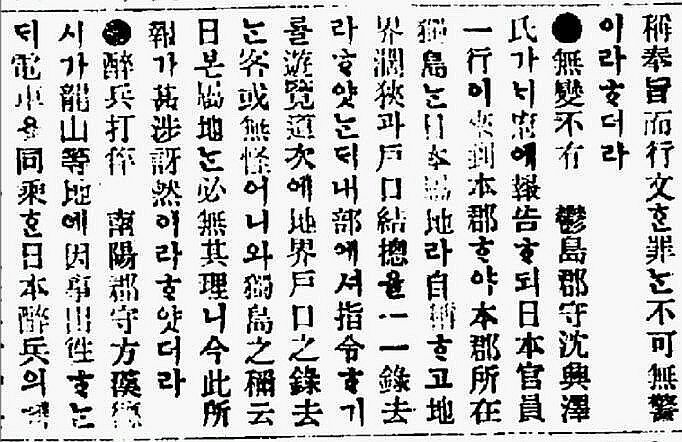 When Japan “acquiesced” to Korea confirming Chosun’s title to Ulleungdo Island, Japan’s necessity for Dokdo was naught. Japan‘s MOFA has deliberately misinterpreted the ommission of Dokdo from the Shoganate’s travel ban to wrongly assert this amounted to Japanese sovereignty over the islets. Is this a logical assumption? Japan’s MOFA states there could be no Japanese on Ulleungdo in 1695 because the Shogunate had already issued a prohibition on travel there. 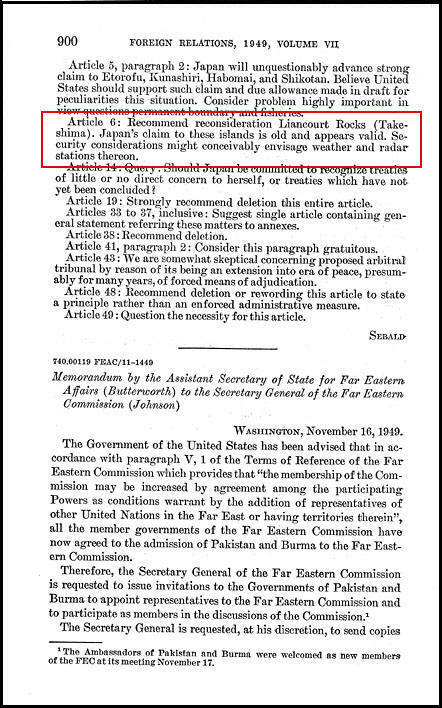 Japanese records and maps show us their Oya and Murakawa families had zero regard for the travel bans declared by the Shognate. 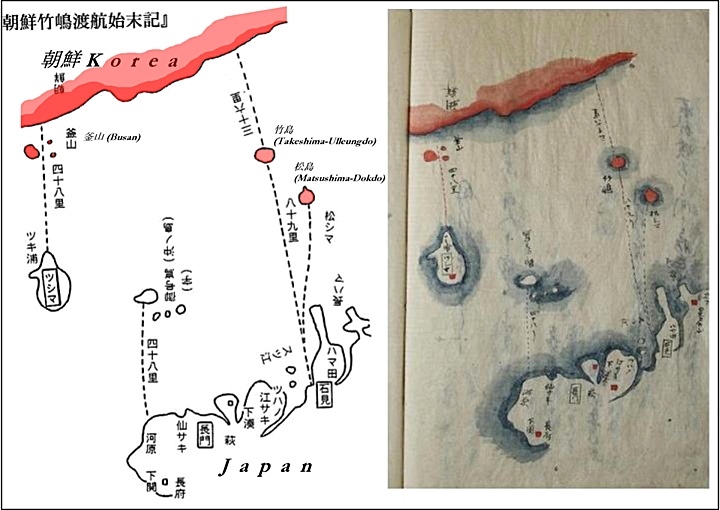 In reality, maps of Ulleungdo from these trespassers prove the Japanese Oya Clan et al continued to clandestinely invade the Korea’s Ulleungdo almost immediately after the Shoganate issued a travel ban in 1695. 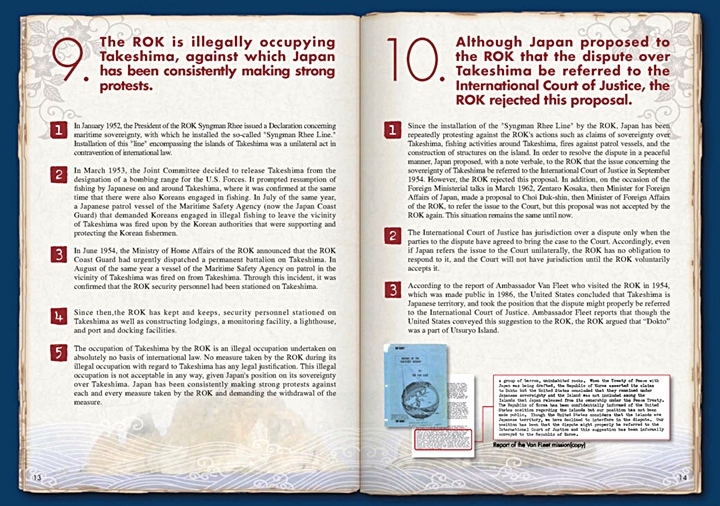 Rather than take an academic approach at determining the true historical, territorial perceptions of 17th Century Japanese and Koreans, Japan’s MOFA’s resorts to putting their spin on the legality or legitimacy of Ah Yong Bok’s claims. We do know with 100 percent certainty An Yong Bok personally voyaged to Japan and declared Ulleungdo (竹島) and Dokdo (松島) as part of Korea’s Gangwando Province 江原道. 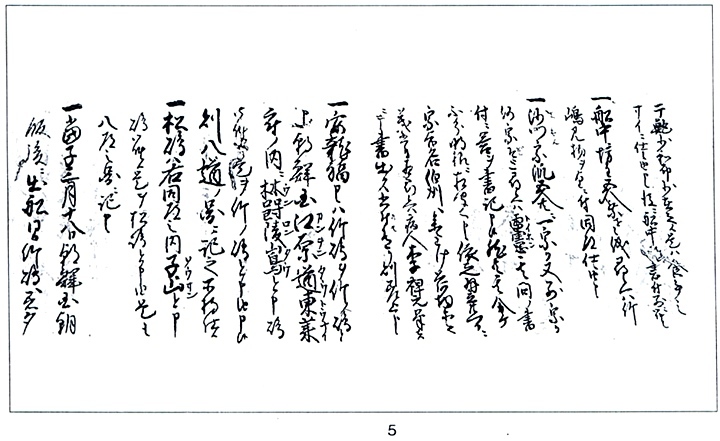 From these documented claims, the Japanese Shogunate offered no objections in the correspondence that followed. 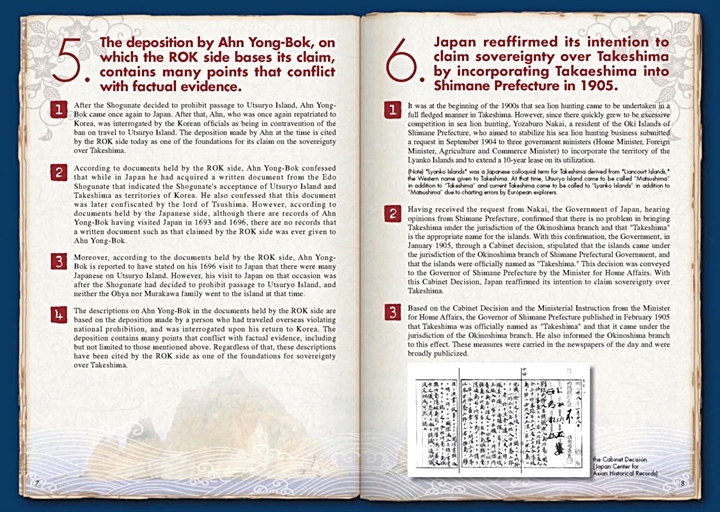 Japan’s MOFA nitpicks on minor inconsistencies of An Yong Bok’s records rather than address the glaring truths of these valuable historical documents. 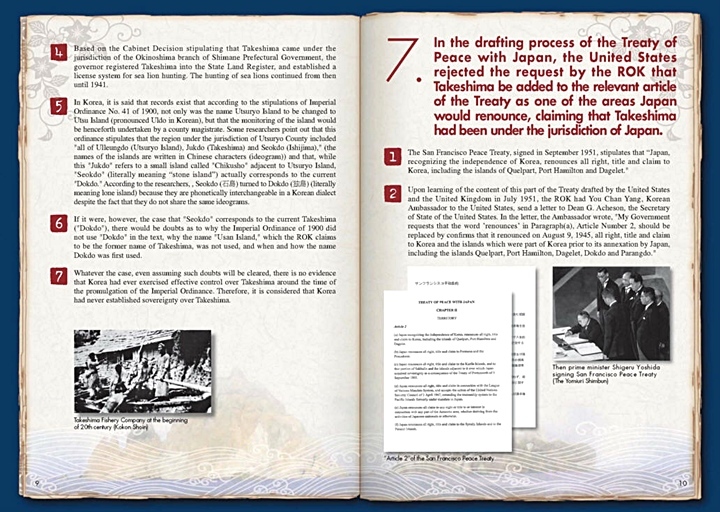 Japan’s MOFA’s sanitized account of Shimane Prefecture’s 1905 annexation of Dokdo is a product of Japan’s shameful denial of past military aggression from her colonial-expansionist era. Japan’s MOFA’s superficial explanation of the circumstances surrounding her annexation of Dokdo fails to mention Japan’s military ambition for the islets. 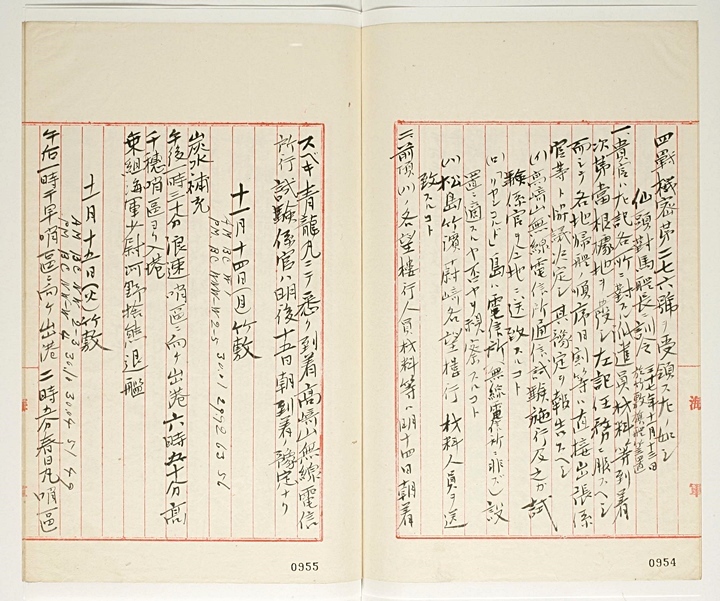 Japanese military records from the 1904~1905 Russo-Japanese War reveal the Japanese Navy’s need for watchtowers on Dokdo was the driving force behind Japan’s incorporation of Dokdo. (see link 1) (see link 2) (see link 3) It’s an undeniable fact, Japan’s annexation of Dokdo was an inseparable part of her colonization process over Korea. 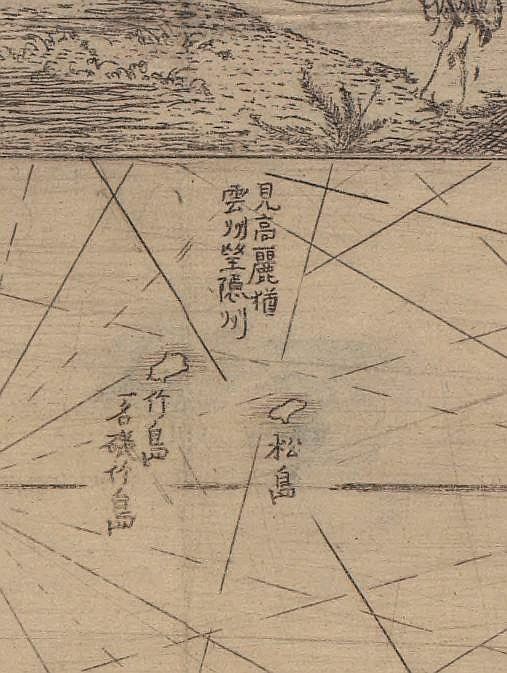 Above left: Three months before Japan incorporated Takeshima, Yamanaka Shibakichi of the Japanese Warship Tsushima drew this survey map of Liancourt Rocks. It shows ideal watchtower locations and visibility ranges. 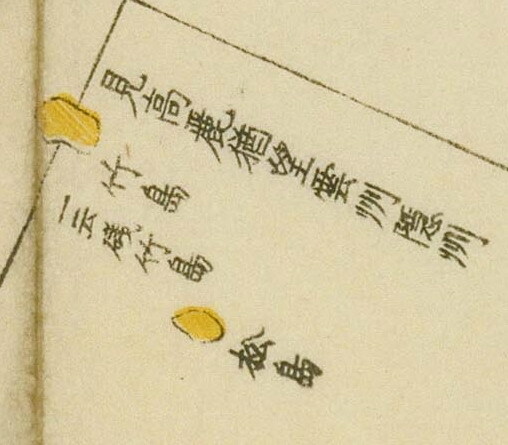 Above right: While in the process of installing military watchtowers on Korean land, the Japanese warship Tsushima’s logbook (above) records the command to survey Liancourt Rocks for telegraph installation on November 13th 1904, also three months before the island was annexed. 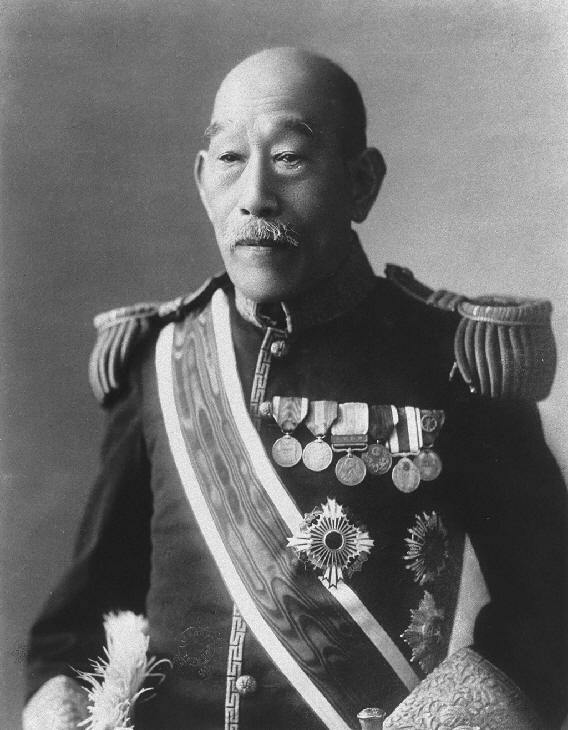 On January 5th 1905, three weeks before Japan annexed Dokdo, the watchtower construction report from the Japanese Warship Tsushima was submitted to the Director of Japan’s Naval Hydrographic Department Kimotsuki Kenko. 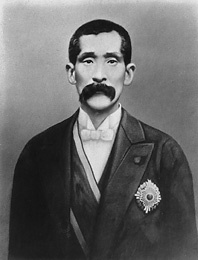 He was instrumental in guiding Nakai Yozaburo’s application to have Dokdo Island leased and annexed. Above left to right: Komura Jutaro, Kiyourga Kiego and Yamaza Enjiro. These Japanese politicians were all staunch supporters of the colonization of Korea. 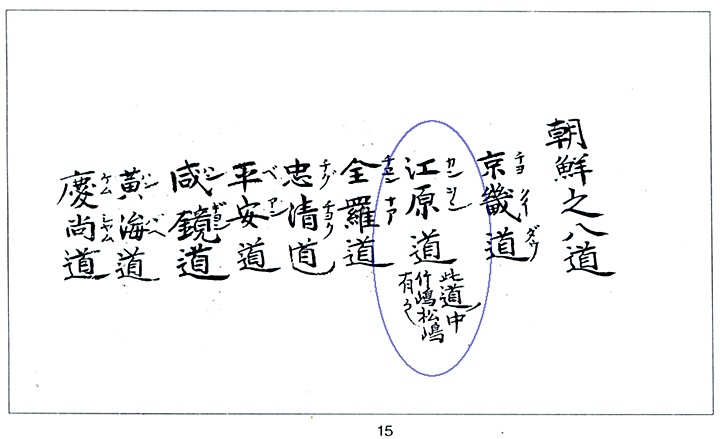 They were also involved in forcing through Nakai Yozaburo’s application to have Dokdo annexed by Japan. 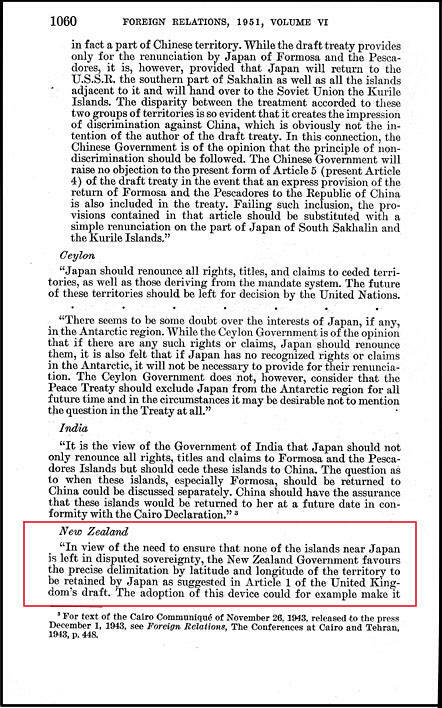 Japan did not “reaffirm its intention of claim Dokdo in 1905”, and it certainly was not “broadly publicized” at all. The Japanese Government clandestinely annexed Dokdo Island in a sub rosa cabinet meeting. This was without external notification beyond a minuscule ad on a second page of a local newspaper that didn’t even mention the island’s name. 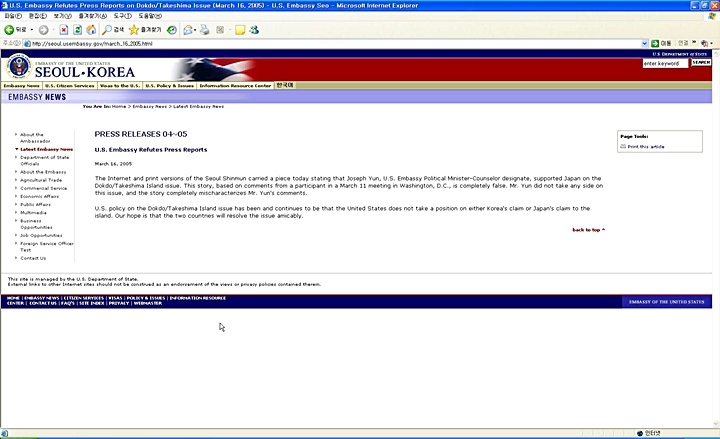 The above records show that upon hearing Japan annexed Dokdo, Korea contested this action through both her government and media. 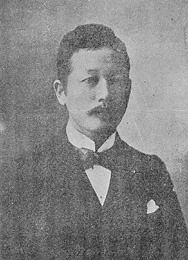 At this point Korea’s Foreign Affairs Office had been dismantled starting in August of 1904. 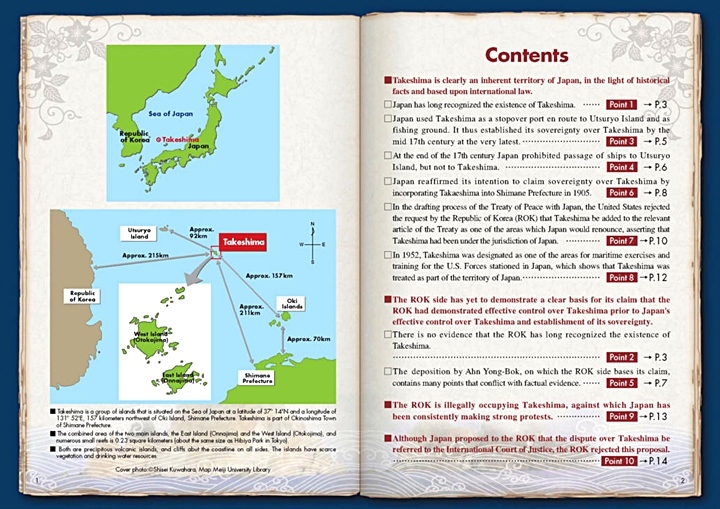 Japan’s MOFA (not surprisingly) makes no mention that early drafts granted Dokdo to Korea, later drafts omitted the islets, and most importantly the final draft of the Japan Peace Treaty made no mention of Dokdo Takeshima at all. 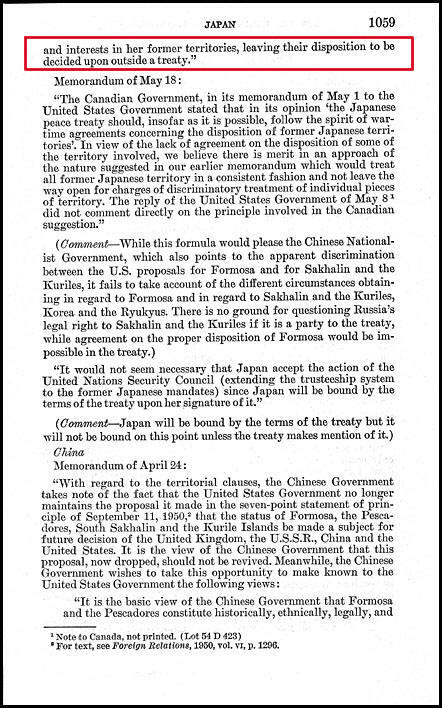 Images above: After five drafts of the Japan Peace Treaty renouncing Dokdo Takeshima to Korea, the U.S. government suddenly reversed this decision and decided Japan should have the islets. This was only days after General MacArthur recommended military joint trusteeships for bases should be implemented in tandem with the San Francisco Peace Treaty. 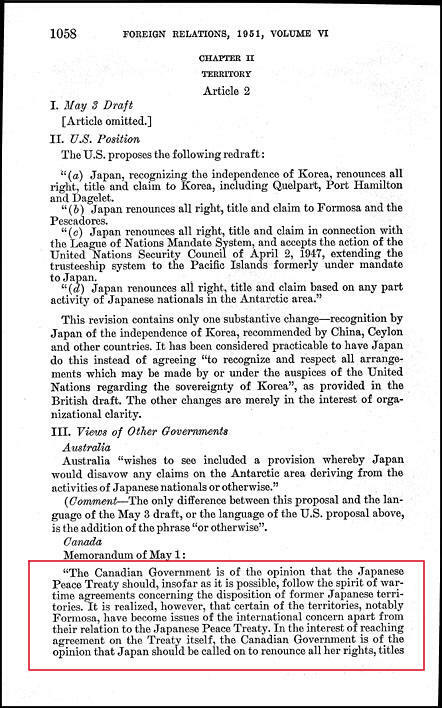 Japan’s Ministry of Foreign Affairs wrongly asserts the American government was empowered to define the territorial limits of Japan. 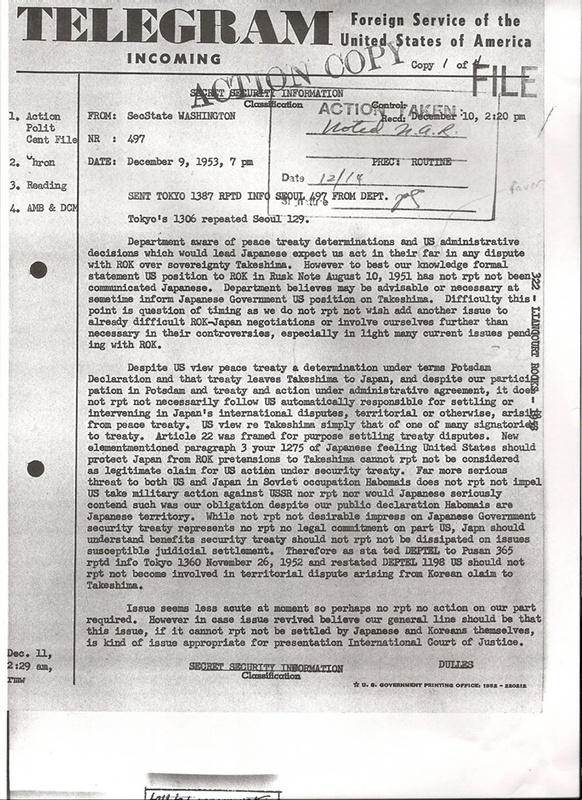 Post WWII decisions had to be approved by Allied Command NOT only the U.S. About 48 countries were involved in the negotiations of the Japan Peace Treaty. 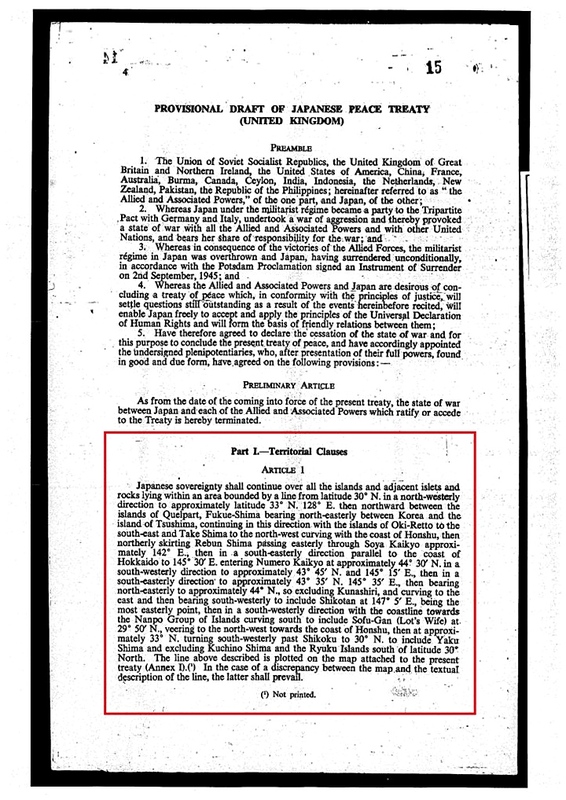 Related historical records from Japan’s post WWII peace treaty show that other nations (Canada, Russia and New Zealand) preferred to follow the definition of Japan as outlined in wartime agreements such as the Potsdam Declaration and the Cairo Convention. This would have left Dokdo Takeshima out of Japanese territory. This explains why no final agreement could be reached on the fate of other former Japanese outlying islands. 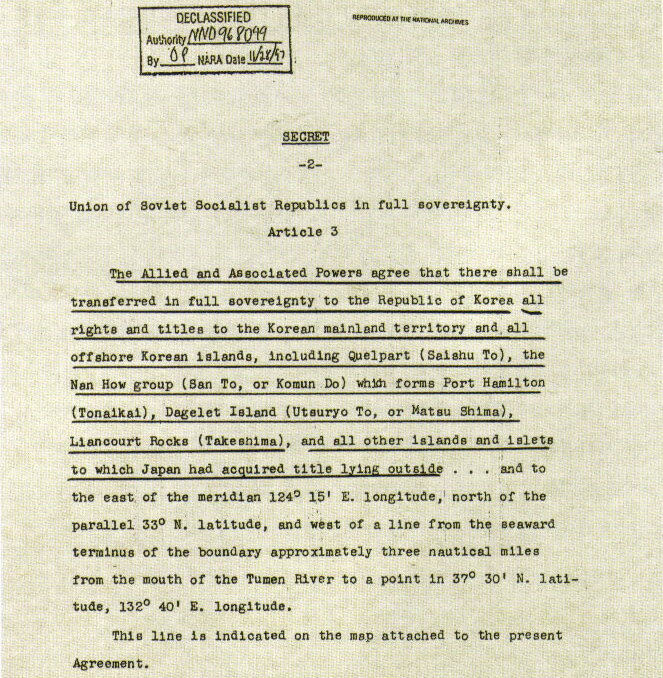 In short, the ommission of Dokdo Takeshima from the Japan Peace Treaty cannot amount to Japanese sovereignty over the islets. Here again, historical context is important. 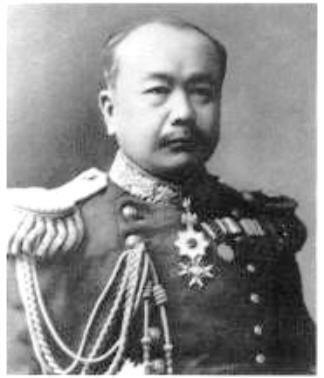 During the drafting process of the Japan Peace Treaty, U.S. Military brass were drafting joint security arrangements with Japan allowing U.S. forces to be stationed on former Japanese outlying islands. Records show the U.S. military hoped to acquire the rights to install weather and radar bases on Dokdo Takeshima. Obviously, America’s decisions during the deliberation process were tainted by her need to militarily posture for the Cold War Communist threat. Clearly, U.S. decisions as to territorial ownership of Dokdo Takeshima were military judgements, not determinations based on a true historical study of the islets. At the very least, because the Korean government was neither participatory nor signatory to the Japan Peace Treaty, it has no real legal effect on the Republic of Korea at all. The last two points are little more than the obligatory rhetoric of Japan’s Ministry of Foreign Affairs that are hardly worthy of rebuttal. However, these issues should be briefly touched upon. Japan’s MOFA asserts Korea is illegally occupying Takeshima. But even by their own admission this is “their given stance” or opinion. Japan’s definition of international law doesn’t create international conflicts to be resolved by the ICJ. Currently Japan and Korea have diplomatic offices and relations in place for solving such matters. Korea feels the Dokdo Takeshima dispute is a matter to be dealt with bilaterally not by foreign organizations. Korea’s refusal to have the Dokdo-Takeshima case dealt with by the ICJ does not mean she feels her case is weak. It also doesn’t make the ROK some kind of rogue state. Having been occupied by Japan since 1904-1945, and been frozen out of post World War II Allied negotiations, the ROK wishes to play a pivotal role when dealing with her territorial issues. This is especially true when the dispute involves geographic regions that would ultimately define the ROK’s national boundary. 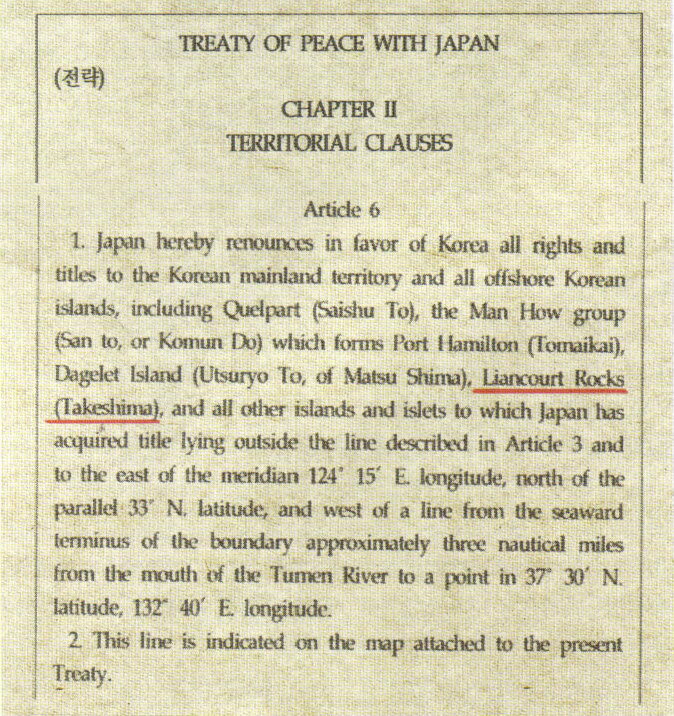 Japan admonishes Korea for not allowing the ICJ to arbitrate the Dokdo Takeshima. This is quite hypocritical given the fact Japan refuses to allow the ICJ resolve her ongoing border dispute with her other neighbours such as China. 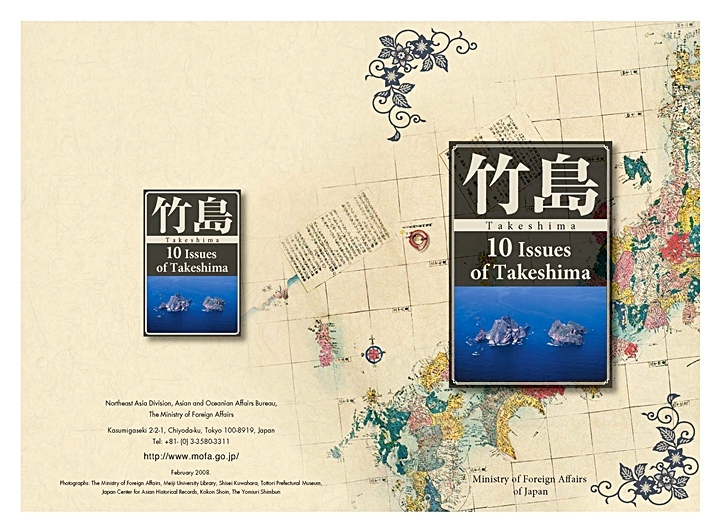 In conclusion, Japan’s MOFA’s 2008 ’10 Issues of Takeshima’ brochure fails to deliver. 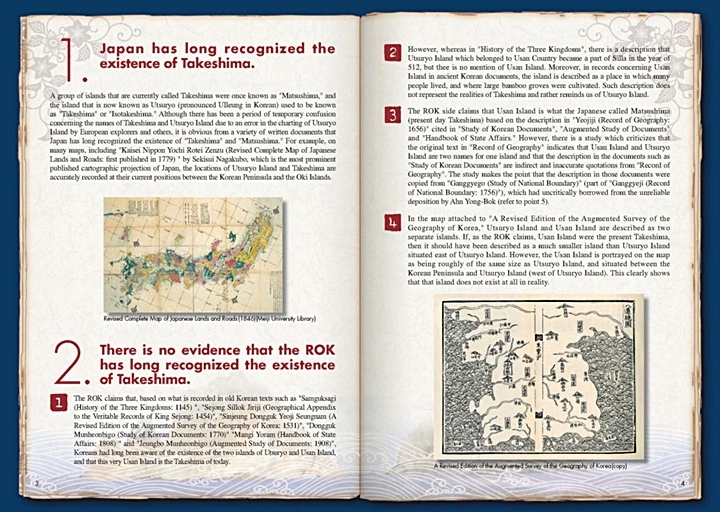 It’s a collection of poorly-researched, incomplete, historical documents that are easily refuted by citing primary Japanese-Korean records and maps. Japan’s MOFA’s feverish lobbying for Takeshima is simply not enough. If Japan wishes to garner both domestic and international support for her claim to Dokdo Takeshima, she must present a far more convincing case.